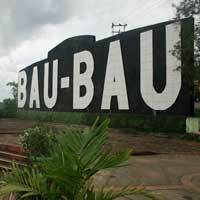 Looking for a cheap flight from Bau Bau to Luwuk (BUW-LUW)? Before you book a flight you can use Utiket to find the cheapest flights from Bau Bau to Luwuk for Citilink, Garuda Indonesia, Lion Air, Batik Air, Sriwijaya Air, Wings Air. All flight data are real-time and accurate. Utiket finds all the cheapest flights from Bau Bau to Luwuk. There is no time difference between these cities. The timezone for both cities is: UTC +08:00. The local time now: 23:28:24. The airport was built in 1976 but first years it was not used for commercial flights. In 2001 the basis of this airport began to improve when scheduled flights started with small aircraft. Find cheap flights to Bau Bau or read more about Betoambari Airport. Syukuran Aminuddin Amir Airport (LUW) serves the city of Luwuk in Central Sulawesi, Indonesia. It is a small airport with one runway and one (recently opened) terminal. The runway was recently extended and now the Luwuk airport is capable of receiving jet aircraft like the B737. 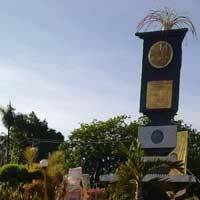 Find cheap flights to Luwuk or read more about Syukuran Aminuddin Amir Airport. Need place to stay in Luwuk?